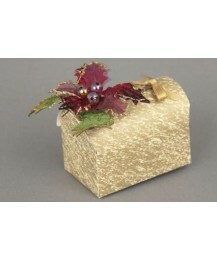 Make your celebration extra special this Christmas with sparkling elegant holly leaf Christmas boxes or shimmering black tulle bags favours with delicious chocolate for the big kids! 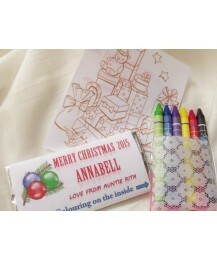 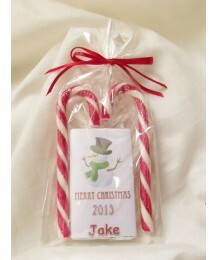 For that special finishing touch, personalise your Christmas favours with tidings of joy and best wishes for the coming year. 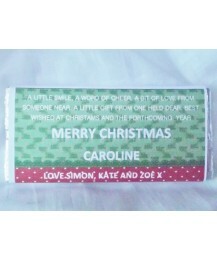 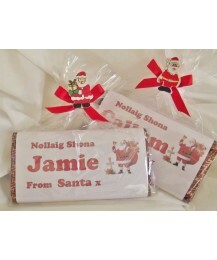 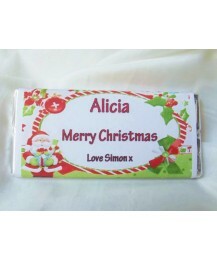 Personalized Christmas Chocolate Bar printed on a shimmery white paper, tied with satin ribbon and a..
Personalized Christmas Chocolate Bar printed on a shimmery white paper, tied with double satin ribbo..
New and exclusive to BBBonbon, this chocolate bar it's very entertaining.Each bar has a personalized..
Has your child been good? 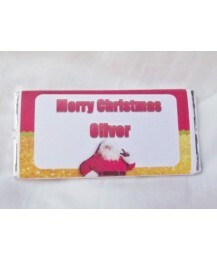 Is the Elf on the Shelf keeping an eye on him/her?If you are looking for a..
Large 125 Gr Personalized Chocolate bar from Santa himself!This bar is gift wrapped in cellophane, t..
Personalized 40 Gr Christmas chocolate bar.Available in white chocolate, dark chocolate and milk cho..
Large flat based cellophane bags, filled with a selection of children's favorite sweets including a ..
A perfect present for teachers, these 40 gr milk chocolate bars are wrapped in shimmery white paper,..
Personalised 40gr milk chocolate bar. 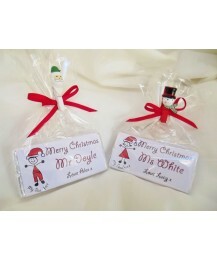 Each bar is wrapped in Premium Parchment white/cream paper w.. 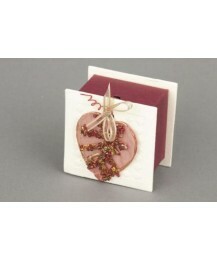 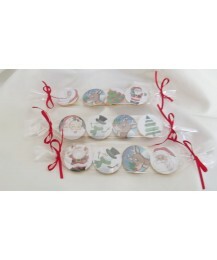 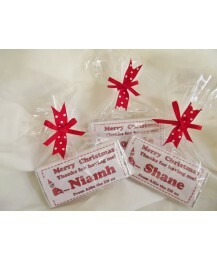 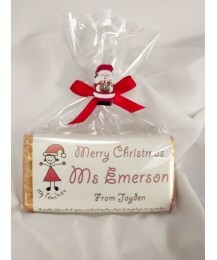 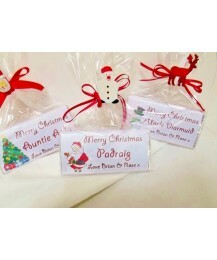 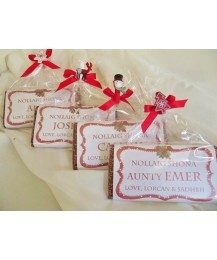 This little set is composed of 4 chocolate coins with Christmas theme, wrapped in cellophane and t.. 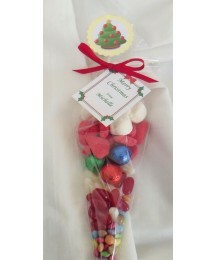 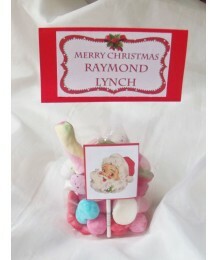 This set is composed of 2 candy cane and a children chocolate bar, personalised with the name of you..
Oh Oh Oh keep the young ones happy at Christmas with these delicious sweet cones filled with good ..
Personalised 40gr milk chocolate bar. 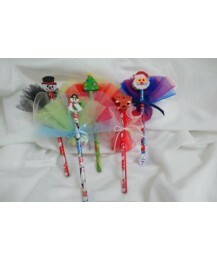 Each bar is wrapped in Premium Parchment silver or gold shimme..
Christmas Favor.Gold butterfly box decorated with gold leaf.After dinner mints included with all our..
Black tulle bag containing chocolates wrapped in silver tulle.Wide selection of chocolates available..
A selection of pencils with robber tops featuring a variety of Santa, Christmas tree, raindeer, sno..
Christmas Favour.Gold chest Christmas favour box decorated with a red and green holly decoration.Aft..
Christmas FavourBurgundy and ivory Christmas favour box decorated with a burgundy and gold leaf.Afte..